What was your very first thought of the day? My partner Jim is the main one! The only way we function with our busy schedule is our change in roles; he has been a stay-at-home dad to our children since I went back to work at school full time after my maternity leave with Nell. Routine is the second, but a boring one! Having a set routine to get all 3 kids plus us ready to leave the house is key. The third one would be caffeine, a cliché but it's the only thing that gets me through the day as our youngest daughter still thinks she is a newborn and wakes at least every 4 hours at night even at 17 months old! Describe a typical working morning? Get up, get ready, check the older 2 children have got dressed, Jim will get Nell dressed while I go downstairs and make breakfast. I then leave for school whilst the kids are eating breakfast. I will also send a reminder message to that evening's microblading client at some point in the morning, checking they are still ok for the appointment. Since becoming a teacher 14 years ago I have done A Level tutoring on and off over the years. When I was thinking about going back to work after my maternity leave with Nell and we knew Jim would be leaving work to stay at home I needed to think about additional income but didn't want to tutor anymore as it makes the work day feel so long as an extension of what I do during the day. I had almost done a beauty qualification years ago before I started teaching and have always been interested in the profession. I then had an opportunity to do a microblading course quite last minute a few weeks before I went back to work last year and did it on a bit of a whim! Luckily I loved it and here I am a year later still loving it and adding eyelashes into the mix! Seeing clients really happy with the outcome, especially if it means their make up routine will become easier and helps them feel more confident. I also love the "chatting to grown ups" element of it, I have met some absolutely lovely people through microblading and spending my evenings chatting away to someone new is a perk I hadn't expected. Be realistic about your time and stress levels and don't be afraid to say no to things. I am much better now at planning my time and keeping my microblading to 3 nights a week; I did too much in the beginning and had weeks where I felt so overwhelmed with it all. I am a relatively rational and pragmatic person (Jim might disagree sometimes!) and so I think I handle being busy well but this last year has taught me so much more about organisation and my limits. Looking after your own mental health is key, I have my family, my students and my clients relying on me to be happy, consistent and good at my various jobs and I take that responsibility very seriously! So, surround yourself with supportive, like minded people and don't beat yourself up when you have a day when it all gets a bit much and you end up a shouty, stress ball! Coming home from school and seeing my kids come running to meet me at the door, they are individually lovely and hilarious and despite the challenges of parenting they are the best bit of every day for me. When something doesn't go to plan and I have to rearrange something, which inevitably is quite tricky with all we have going on. This time of year it is down to the constant little illnesses with the kids and I get really anxious when they are unwell (something I am working on chilling out about!). Jim is the most laid back person I know though and always puts things in perspective when I get irrational. Most overused word of the day? It varies, but at the moment "Nell!!" - she is by far the craziest of our kids and at this age the older two were much more cautious and calm. She is crazy, fearless and relentless and will climb/eat/try anything so we are always on the look out! Microblade! or if I don't have a client then I sit on the sofa to make myself feel I have had some kid-free time by watching tv before going to bed early! Best piece of advice for fellow Parents..
.I know some parents don't like this as they feel it puts too much pressure on them and I totally get that but it works for me..... really just to enjoy it all whilst they are small and never to take what you have for granted. I feel like I only just had Ivy and she is 7 already, it is the biggest parenting cliché ever but it truly does go so fast. I have so much to be grateful for and I always try to remember this when I am sweating the small stuff; as long as I have my family and a roof over my head I have everything I need. Not to take it all so seriously helps, laugh when it's all going wrong and my favourite quote "happiness is a journey, not a destination" is one I always come back to on crazy days. This week we are chatting to KITCHEN KING Tim Inskip founder of Inkwood Bespoke and Dad to Bastian Bear ( 6 ) and Indie Bay ( 5 weeks ). Tim set up Inkwood Bespoke in October last year and provides design and hand building of bespoke kitchens, cabinetry and furniture for the home and design professionals. Go check out his stunning designs - you will NOT be disappointed! 2.30, 3.30, 6.30, 4.30, I really don’t know anymore. Indie has some incredible vocals on her now at 5 weeks and chooses the early hours to really express herself. Wow, look at that ! At 6.30 we had glorious sunshine pouring in past the blinds and it felt like spring had finally sprung. I forgot for a second that B and I had had no sleep whatsoever. What are your 3 essentials for getting up, out and at ‘em? 1. Good coffee, obviously, ( if I have the time ) or a massive mug of tea ( if I don’t ). 2. Porridge, we’ve made a concerted effort to reduce the sugar in our household. It was tough in the beginning but I am now a converted morning porridge eater, I swear by it to keep me going through the day. 3. Patience. I think you know what I’m talking about. School run first, I consider myself lucky that I’m able to do this in the morning. Then either head to my workspace on the fringes of Speldhurst to get a project up and running or if I’m going to be drawing or costing all day I’ll head back and do this from my office at home. B ( my partner and founder of @poppoppapier ) works from home too so it can be great talking creatively over one another's projects. If I have client meetings I try to get them in early, that way you’re fresh, feeling creative and the ideas just come. There’s so many reasons but firstly it was to be nearer home and to be around more for my family. It sounds weird but immediately and before I’d even produced anything I felt that I was back and actually offering something. I have many years design and manufacturing experience mainly for the big names in retail. Charlotte Tilbury, Disney, Louis Vuitton to name a few. In this sector they demand quick turnover and temporary schemes. It bugs me that it’s so disposable ! I knew I had the skills to design and create stuff that was permanent and had legs (no pun intended). People are investing in their homes and it felt the right time get out there! Apart from being my own boss the absolute best part is standing back from a completed project and thinking this looks AWESOME !! And having the client agree with you ! Even better ! It has to be the ability to switch off. In my previous roles I looked after multiple big projects and a whole heap of staff and would often find myself in a kind of trance at home thinking over problems that actually didn’t need solving right there and then in any case. I'm able, now, to maintain a separation and this is a definite win win for the family if you can. When I see my son after school and he actually opens up and tells me whats been going on in his day. Its rare, my questions are usually seen as an annoying, unnecessary distraction from Ninjago. Come on !!!! This is obviously two words but this is what I find myself saying repeatedly as I’m trying get Basti out of the house in the morning. If you’ve ever seen the way a chameleon moves, this is how my son exits the house. I'll do some design work but if I can get away with it I'll flake out and catch up on Salvage Hunters. Don’t try to fight it…. Just get a car with a bigger boot. Ella needs to practise her cello! ‘Dress for my public’ (my Dad’s term!) which means face on, shower- all 2 minutes worth, and all the bags prepped and ready in the hall for ‘said day’s’ events and activities! After the school run, I check emails, post on Insta and check in with my bro Nicky Clark - our in house DJ (full time job - editor at Panini UK and co-founder of Shhhh Silent Disco). I set up appointments for the week, adapt/ edit playlists for class, chat with clients via WhatsApp, see Robbie (who does our printing) and hassle my hubby Neil, who works for Mind Candy re Ads, artwork, website updates, while I produce copy and also write (I am keeping a diary of my new entrepreneurial ventures post serious career!) oh and of course set new class routine and stretch! Juggling a sometimes 7 day a week job with motherhood and a myriad of activities plus homework was getting tricky! I enjoy thinking outside the box and was reaching a transition point in my life, so wanted to flex my entrepreneurial muscles and try something new. Meeting people, sharing my passion for dance and becoming invested and inspired by people’s shared stories, challenges, goals and aspirations! Keep it creative, be easy on yourself and do things you love to do! Both Neil and I, are creatives and it looks as though Ella and Charlie are edging that way- so a happy house is a lived in house in our family! Having the flexibility to work around the family brings a balance which makes things calmer and happier. If I am content, the kids are. Oh and a glass of wine to look forward to at the end of the day! Getting the kids out of the house in the morning’s ready for the school run! Collapse/ Have that glass of wine! Don’t be hard on yourself. We are in this together and parenting is not easy. Come and dance - we’ll help you escape for an hour! Did all three of my kids sleep through? It never happens, but we live in hope! These all get infinitely harder when you’ve got little kids in the house, and I confess there are periods of time when I’m not doing any of them, but the benefits in my experience are really great. 3. Don’t check your phone till you’re dressed and ready for the day – preferably keep it outside of the room at night. It was a New Year’s resolution of mine and I can’t recommend it enough. I’m lucky that my working morning starts with taking my 6-year old to school on the way to the office. Once I’m in, the first thing I tend to do is go through our numbers from the day before and see how we’re tracking. As a start-up you never get time to rest on your laurels and sometimes it feels as though you are only as good as the previous day. I’ll also check in with our customer support team to see if there are any issues that have arisen which need discussing. We place a massive emphasis on customer service. We know what we do matters and is hugely important to the people using the service, so their happiness is always front of mind. After having my first child it hit me quickly just how much of a problem access to childcare was for me and millions of other parents. I thought it was crazy how under-served we were in solving what was such a major issue for us, and I felt strongly that we could build a service that offered real value. What we do has a hugely positive impact on the lives of our customers and that makes us proud and also really determined to reach many more people and constantly improve what we do. Getting great feedback from parents and sitters who use the service. Hearing how we’re helping them and having an impact on their lives give us a great feeling and inspires us to work harder. Get good at switching off and being present in the moment. Too many times I’d be spending time with my kids but checking emails at the same time, and in that scenario everyone suffers. I’ve been trying much harder to properly switch off during family time. Even if it’s for 1 hour during bath/bed time – properly switching off in those moments is important. When I make it home in time to put the kids to bed. Starting a business is hard and stressful and there are days when things go wrong and you feel like the world’s going against you. You need perspective and my kids give me that better than anything else. Thankfully it doesn’t happen often, but hearing from a customer that they’ve been let down in some way by the service really really hurts. I’ll choose a phrase if that’s OK. “We’re working on it”. As a startup there is a never-ending list of things we want to do for our customers, and it’s great when they get in touch to ask us for new features or certain improvements. Prioritising these smartly whilst resources are tight is a constant challenge. Tend to cook dinner. I love spending time in the kitchen and find cooking to be a real stress-release. We’ll try our best to spend a couple of hours together eating and catching up and I’ll usually go back to work for a bit at 10pm. Teach your kids to pour their own cereal and set their breakfast stuff up the night before – it’s a game changer. What am I going to have for breakfast? A 10 minute mindfulness session with the Calm app, a 20 minute Brendon Burchard podcast and some kind of exercise. I can't cope without working out - I have so much excess energy, I need an outlet for it! Get the girls fed, bathed, and off to school and nursery, followed by a 30 minute power walk then breakfast and a review of my priorities for that day so I'm ready to go by 9am. Because I love the world of finance but recognised a real need that had yet to be adequately fulfilled by the established institutions so felt motivated to do something about it. I've also always harboured a secret desire to work for myself so I'm over the moon to be living my dream, despite the hard work. Knowing that rainchq has the potential to help transform women's lives by giving them greater control over how they plan for the future. Accept that there won't be an exactly even split between both every single day but as long as you're clear on your priorities and are able to work towards them gradually every day, you should consider that a win. School and nursery pick up time. Bedtime - it's like running a marathon every day! V is an absolute hype queen so it takes a lot to wind her down. Read and listen to music. Plexal - a brilliant coworking space at the heart of the Olympic Park, Mare St Market which is a kind of microcosm of east london living, working and eating and Columbia Rd flower market for a springtime sunday stroll. You've got this. Don't compare yourself and don't talk yourself down. And ALWAYS make time for regular sessions alone doing something that uplifts you. There's no martyrdom in self-neglect. No 1 – make sure kids are ok, make them breakfast. For me – lemon water followed by strong coffee! Get one kid off school, one off to the nanny. Start on the long and ever changing to do list. No day is the same. If I'm not too busy, I'll make and photograph my breakfast for Instagram! My business partner found a gap in the market and I thought it was a great idea. We have very different skills sets which has been great for us working together. Being my own boss, working with my best friend, often getting to travel the world for meetings and new opportunities. Be prepared to work all hours! Especially at the end of the day when the kids are asleep. This is also a good way to set yourself up for the next day. Seeing the kids smile and hearing good work related news! Feeling like I need to be in many places at once! Most overused phrase of the day? Check if there is any work that needs doing, and do it. If not, have a glass of wine and watch something on tv! Enjoy as much time as you can with your children, they grow up so fast and get to that stage where they'd rather hang out with their friends! What was your very first thought of the day? Please go back to bed! 10 minutes of zen, strong layer of touché eclat & a clear plan of what you’re aiming for! I usually get to my desk by 9.15 feeling frazzled thanks to the sweaty 3-hour marathon we have run (literally) to get the boys to where they need to be. Depending on the day - I try and take my 10 of zen before I bury my head in the to-do list and try to have a decent cup of tea. I'm all about planning and trying to stay focused in the little day-time work-time I have so there's always a list. And then I try to mix it up between meetings, desk time and phone time... it's got to be varied for me otherwise I get restless! Because 4 1/2 years ago my own world fell apart. I learnt the hard way what it's like to be sub-zero on self-love and off-the-scale on stress. I was a brand new mum all ready to smash motherhood out of the park. And there was no ball, no park and certainly no smashing going on! Like sooo many of us, I was thrown a mental health curve ball and for me it was in the shape of postnatal PTSD. I went from a successful CEO of a national charity to not being able to leave my own bedroom without having a panic attack in the space of just two weeks. At this time, I started to take 10 minutes out most days to follow guided meditations on acceptance and self-compassion and it hugely helped me to see sunshine behind the darkest of dark clouds. It then became a habit I stuck to and my family started fondly calling it '10 of zen'. When on maternity leave with Matty, I started to develop my own style of meditation more tailored to the highs and lows of being a mum. And it was at this point I decided to set up my social business to share my love of mindfulness with more mums around the world. It's definitely my work with groups of mum - I work with women to help them make 10 of zen a self-care comittment in their own lives. I run my zen squad through a remote online training community and I just love it (and I'm told they do too!). Know that the struggle is real and that it's normal to feel overwhelmed with it all - I do all the time. Then listen to that stress and anxiety and try your best to review things - cut something out, chat to your partner or go back to someone you've said yes to and say 'actually it's a no.'! Now the happiness is not guaranteed - but it's usually picking up Thomas from school. His infectious energy lifts me up... and usually it comes crashing down again by the time we're home again (ha ha!). Poo. Thomas is 4 and Poo is basically included in almost every single one of his setences! Most nights I have dinner, have a customary natter to Rob and then settle onto the sofa with my phone. I'm growing 10 of zen through social media so most evenings I spend 1-2 hours working on building the zen love online. Knole Park - so much love for that place. Tonbridge Park - it's basically our back garden! 0545! At the moment I always lay in for 10-mins to feel the baby kicking, then I peel myself out of bed. I used to get up at 0530 on the dot before this pregnancy but I am feeling more tired, so I am not pushing myself. 1) Shower first thing and blow-dry hair. 2) Do some mindset work – usually this is some affirmations, positive self-talk and mental prep for the day ahead (whatever that might be). 3) To sort the kids out without shouting too much! After the school run, which I do 3 out of 5 days, I check social media and schedule any topical posts for the evening using later.com. I usually book my coaching sessions during the morning, so often it is 10-12:30 on Skype connecting with private clients. I find I am much more alert in the morning and love to take advantage of that energy. Why did you set up Geriatric Mum? As soon as I found out I was pregnant with baby number 3, I googled away looking for advice and other mum experiences and I found not a lot! I had some really interesting (unthoughtful) comments when I announced my pregnancy at 42-years old and it hit me that so many other women must feel the same! I set up geriatricmum.co.uk and wrote a bit about my experiences and now I am publishing interviews with other older Mums. Support and acceptance about being an older mum is key and as I have found in my facebook group women crave support, knowledge of the medical system as an older mum and to feel like they belong. The best part of my job is managing my own time. After I had our first child I tried to go back to my job at a PR agency, but my suggestion of new lessened hours was rejected. It was at that moment I knew I had to work for myself and be my own boss. I also get a tremendous kick out of helping other women to realise their potential through my coaching work. My own confidence was incredibly low for years and years and I really understand from a personal perspective he benefits of working on your inner and outer confidence can bring. Oooh, this is a hard one. I have to say the word juggle is real here. It is a juggle. But, due to working for myself I can engineer my week around the kids and only in the last 6-months have I really realised that I can only do so much and that it is ok to take a day off if things become too much, overwhelming or if the kids are ill. So my #1 tip is to accept what time you have, and work your t*ts off during those hours. Acceptance is key. At the moment, I have to say lunch time! I am 30-weeks pregnant, and I work solidly until 1pm and then it is lunch! I either meet a friend or have scrambled eggs from our very own chickens! I also have to say that when I know the kids are asleep this is a pretty happy moment – I love nothing more than seeing their sleeping (quiet) faces tucked up in bed. 4pm! Kids are home, they are often whingey and hunnnngry. At 4pm-ish, I am wilting a bit (you know that feeling of needing a second wind) and I don’t even have wine to look forward to. The 4-7 shift is by far the hardest in our house. My husband works in London, and gets home at 7:30pm so I try to hand over to him the second he walks through the door, but I have to admit this hardly works like I want it to. I bet this is a common one, but “muuuuUUUUuuuummmmmmmmm”. I have to say I am so happy to be a mummy, but that word is sometimes a massive pain to hear, especially when it is for the 150th time that day. But I guess my kids get fed up with hearing “Noooo!” all day from me, so we balance each other out. Check social media, drink tea and try to sort uniforms out for the next day. I always look at my schedule for the next day too, and get my head into a good place for what is to come. Quex Barn - ace for food and the kids love seeing the fish stall. Minnis Bay beach – we go there at least 2 days after school. Buy a slow cooker, plan in some fun times for YOU and accept that none of us know what we are doing! And, if you are a young mum or an old mum you might be labelled, but you are just as valid as any other mum on the planet. Completely overslept this morning after being out-out at a gig last night, so woke at 7.10am and had a mad dash to get out of the door to do the school run! Ahhhhhh! We’re going to be late! Go, go, go! Routine! My kids are such amazing and interesting little people, but jeez, they’re proper space cadets when it comes to getting ready to go out. I lay their uniform out on the sofa to get dressed straight after breakfast. I try very hard to stay as calm as I can, and use a gentle voice (this doesn’t always work, of course!). I often have to resort to races between them to try to lighten the mood and get them moving. And my new winning tip for the school run with three kids all needing book bags, coats, snack pots, water bottles etc is getting everything in one place to shift into the car. I bought a ridiculously enormous artisanal woven basket at a market in France this summer. My husband looked on in horror as I purchased it - not another bag?! But I keep it in the kitchen and use it to gather all the kids’ bags and bits ready for school. Then I transfer it into the car in one go. It saves me so much time walking back and forth from the car and keeps all the gubbins and toot in one place! After the school run, I usually come through the door, stick on a coffee and contemplate tidying the kitchen from breakfast. It depends how much headspace I have as to whether I bother with the kitchen or simply sprint upstairs to the office. My husband and I share an office and we have desks side by side, so if he’s not in Town, we’re hanging out and working together for the morning - he’s a web developer so he’s either on the phone, or deeply engrossed in coding with loud music playing - he’s quite a noisy office mate! We also spend most evenings like this too. Living the dream! On my typical working morning, I spend most of my time on the computer, but sometimes I’m downstairs recording lives for Facebook or Instagram or attempting to take photos of food. I find food photography the most challenging part of what I do with Feed the Brood. It’s not easy to make a family meal look good! Most days I pick my daughter up at a lunchtime, so then it’s time to hang out with her and do our various activities. Why did you decide to set up Feed the Brood? I started Feed the Brood initially as a Baby Led Weaning blog. I’m a nutrition graduate and I absolutely fell in love with baby led weaning. But as I started talking to people about my ideas, I realised I could use my ex-teacher skills to put together workshops for mums to come along to to find out more. It’s snowballed from there and now I focus more on courses, classes and events that help with planning good family meals and creating happy mealtimes. Making a difference to people. I’m launching cookery classes in Tunbridge Wells called Pimp My Menu. I teach 8 people 8 recipes in 2 hours! Quite a challenge! There are 4 slower recipes and 4 rapid recipes, each pair work as a team to make 2 of them. At the end, we sit and have a very civilised dinner together, taste each meal and discuss the recipes. It’s like a party and it’s so much fun. I did my very first session - I’m calling them the guinea pig sessions - at half price for people last week and the response was brilliant! We all had so much fun and I know that the ladies who came were super excited to be adding these 8 new recipes into their weekly menu! I got such a kick from that! Well, I’m not sure I’m succeeding all that well, so I’m not the best person to be handing out tips! I’m always over-stretching myself and feeling like I have to work until midnight to meet a deadline whilst the household management takes a back seat! Maybe with my Feed the Brood hat on, I can honestly say that Meal Planning is a great way to take a load of stress away. Each week, my husband and I plan the meals I’m going to cook for the next week. I only plan the weekdays as I like to add spontaneity into the weekends. I like getting my husband involved, as it makes the emotional labour of the household lighter if he’s making some decisions too. At the moment, my children have after school clubs on two nights a week, so I try to ensure I’m cooking a double batch on the afternoons I’m home earlier so that I’m banking meals into the freezer to use on the busy afternoons the next week. It’s a great system when it works and it means the family is getting good food even on the crazy days. My other tip is to get the washing on twice a day - otherwise it causes mayhem in my life! Mealtimes with my kids! I know that’s also very ‘on message’, but I am totally serious! Over the last 9 months, I’ve been curating my Feed the Brood Facebook Group. We have over 500 members and we share tips about recipes, cheerlead each other through fussy eating and have lots of food-related chit chat. A few months ago, I set a challenge to have interesting conversations with the children over the mealtime every day for a month. Obviously I was doing it with my kids too. Well, the conversations it led to were so silly and funny and there were so many crying-with-laughter moments! The long-term impact of that was that the kids are brilliant little conversationalists at mealtimes - now they pose funny questions without any initiation from the adults. Would you rather fly or be invisible? And my husband came in late from London the other day whilst we were just finishing up tea. My four year old looked up and said “How was your day, Daddy?” and my heart melted! The ages we’re at with the kids means that a lot of our conversations revolve around dinosaurs and superheroes, but it’s a great way to initiate some chats with my 6 yr old about his learning topic of the term now that he’s in year 1. I adore this moment in my day when I get to engage them and bond! It’s magic. Oh, most definitely getting out of the door in the morning! Does everyone say that? On the weekdays, it’s work I’m afraid… Pretty dull. Fridays and weekends are sacred though, so my husband and I usually curl up on the sofa with some wine and a movie or series on Netflix. Being the foodies we are, we love a food documentary on Netflix - like Chef’s Table and the latest one Salt, Fat, Acid, Heat. They’re so beautifully filmed and really inspire me. I’ve started winging my meals a lot more now as a result - experimentation can lead to genius ideas! We also have a huge group of friends and family locally, so lots of our weekend evenings are spent with friends - we adore drinking wine and playing games late into the night! 1. I don’t get out into nature anywhere near enough - I adore a welly walk - so when I can manage something, my favourite places to walk are the Ashdown Forest (at Gill’s Lap car park there’s the perfect walk for children), Toy’s Hill, and near me in Edenbridge there’s the perfect walk at Ridlands Lane that has loads of little dens and constructions that the children can enjoy finding - and there’s a post box for Peter Rabbit that you can post letters in and he’ll write back to you! 2. This is another nature tip - Sawpit Woods Forest School Holiday Club. I took all three of my children in the last day of half term on a Family Day. The kids had a great time, but most importantly, I had an incredible time. We built a fire and lit it with flints, we made our own charcoal from willow whips and then drew with it. My kids were all completely relaxed in the woods - they had so much freedom to play about with sticks, climbing trees and making bread on the fire! I got so much headspace away from my work and busy mum life - my smile was a mile wide as I drove home. I can’t recommend it enough. It was a complete tonic! They only run in the holidays as they are teachers in term time, so look them up on Facebook to find out more about their holiday dates. I’ve already booked in to join them in the Christmas hols! 3. Hever Castle - the annual membership is ridiculously cheap compared to the entry price. They have recently built an amazing toddler play area - it’s all sandy and wooden. Very in keeping with the giant play fort for the older children. I love to take my daughter there in the time between collecting her and going on the school run - and it costs me nothing which is the big bonus. I feel a bit bad admitting to this, but often she plays so happily on the big slide and I can grab a few more minutes to work on my phone. I find that multitasking and chipping away at my workload helps me get things done in half the time! I know I should be in the moment, but that’s one moment where I think if she’s really happy and I can tap away at a couple of emails, we’re all winning! Ooooo - hmmm - advice? That’s a pretty big question. I guess, it’s my latest favourite mantra - Strong, Calm, Kind. Strong - no-one ever said this parenting lark was going to be easy. If you need to have a word with yourself and find some inner strength, go do a Power Pose in another room or put your favourite song on your phone. You’ve got this, and even if you don’t, what’s the worst that can happen. It’s all part of earning your badge. Calm - Use the power of zen in stressful situations. Getting het-up never did any good to the situation. So, try to be smug and clever about it and turn the situation round. Why not diffuse drama with humour, set the children on a little challenge or offer them their favourite music? Kind - Never underestimate the power of a long, tight cuddle. When a tantrum is kicking off, have a deep think about what it’s about. To a little person, it might mean the world. And I think we should all be kinder to ourselves too. As a parent there’s no annual appraisal or pay rise, it’s just your personal assessment, so find some reasons to give yourself a pat on the back! You’re doing ace! After drinking a glass of water which I find helps kick start me (sounds all very healthy but definitely works! )....Which child has what after school club and is the relevant kit requirement actually packed and ready. Not very world changing but true! 1. Ensure relevant child's kit is packed the night before! 3. Check my diary to make sure i’m fully up to speed with what I have on that day/week.....can’t say I have perfected any of the above but every week I aim to do so! Why did you decide to set up Niix? Having taught Pilates & fitness for over 10 years, I felt lucky to have seen my client’s success in becoming fitter, stronger and more body confident. I have clients coming to me for all different reasons, someone might be postnatal, others suffering from an injury, out of practise or just wanting to stay fit BUT the one thing most of my clients have in common, is lack of time and the feeling that perhaps they are/were working out but ineffectively. Coming from a Pilates background, I am very mindful of how good technique when exercising can make the difference with seeing great results and feeling fitter and stronger. Having helped many women realise this through training at my studio I wanted to create something that could also be used at home. Knowing first-hand the positive effects exercise has physically and mentally, I wanted to try to help as many women as possible feel body confident, strong, toned, vibrant and full of energy. I also wanted to help women realise that busy schedules are no barrier to staying fit and healthy and at any age if you have the right mind-set and guidance. Creating a fitness habit does not mean training for hours on end and I wanted to show that by developing workouts which illustrates good form, creating better results in less time. Creating something new and making that leap of faith was really quite daunting, so I love receiving positive feedback from my niix users. It’s great to hear that I have helped women with their fitness, see results and enjoying the app. Write everything down! Diarise and have a note pad with you at all times where possible....when we have so much going on, memorising everything is not my forte! Being a mum means life is chaotic....but having lists really helps me methodically get things done. Talking with my children about their day on the way home from school. I find this time invaluable and get a real insight into what they have done and how they are feeling. Being in an enclosed space (!) means they can’t run off, so they will often divulge more than they usually would. The transition from teacher, to mother and then to wife at the end of the day. Often there’s not much left in the tank so my husband gets the cheap seat! I try to take 10 mins for myself, whether it’s flopping on the sofa to watch a box set, having a bath, adding a few items to ‘cart’ or sending out a few last emails....I need some me time to adjust. The Wealden Smokery in Flimwell – has just opened a new larger café. Not only can you pick up some tasty delights in the shop but you can also sit in and dine. Eggs to Apples in Hurst Green: Lovely farm shop stocking locally produced produce with a small cafe. Duck & Dog in Cranbrook: A luxury homeware shop with lovely furniture, books, crockery and gifts. Everyone parents differently so try not to compare yourself or your children to others. We are all trying our hardest to get it right and all come from a place of love, wanting the best for our children. Try to remember you are doing your best and there is no formula or user manual. We are all doing a brilliant job in our own, sometimes chaotic way! Becky O’Connor is an awesome mum of two boys (aged 7 and 4) and co-founder of Good With Money - a website about how to be better and do good with your cash. She recently launched the #ThisMumSaves campaign with PensionBee, focusing on helping part-time, self-employed women to understand more about what pension savings can do for them in the future. Who’s turn is it to make the coffee? Having a) a child that screams “Mummy” repeatedly from their bedroom - that’s a sure fire shot of adrenalin to get me going b) another child that comes into bed with me wanting instant conversation and Horrid Henry on the TV c) at least two coffees. I try to drop the boys off at pre-school and school as early as possible and then, if there’s time, I’ll give the dog a quick whizz round the park. At home, I usually have to spend 15 minutes tidying up the breakfast stuff, washing up and putting clothes away before heading to the study - it helps me concentrate if I know those basic household things are done. I’ve usually done a to-do list the night before so that I don’t have to rely too much on my morning-y brain to remember what needs doing and can just blitz it, stopping only for cups of tea. I reply to emails, draft blog posts, take calls schedule tweets and commission/ pitch ideas. I have to do quite a lot of planning and strategy work at the moment too as the business is growing, which is very exciting, but is a whole other workstream. I’m very motivated by ticks. Nothing makes me feel better than three or four good, solid ticks on the to-do list by 12 noon. Course, that doesn’t always happen. Why did you decide to start the #ThisMumSaves campaign? I’m genuinely worried about the state of women’s savings. We hear a lot about income inequality but less about pension inequality. At its worst, it can trap women in unhappy marriages when they hit old age or even before because they realise too late they’re dependent on their husband’s pension. At best, the pensions gap means that women might just not quite have the life they imagine when they hit their mid sixties. If there’s anything we learn from having kids, it is that life whizzes by and before you know it you are ten years older. So many mums have to focus on the here and now and day to day. It can be really difficult to extract yourself from that, when life is going at a million miles an hour, to pull back and do something for your future self, like starting a pension. For me, this is one of the most important types of self-care, but not one that you see so much on Instagram. Getting to write about what I am passionate about - the power of money to change our own lives AND the world. I write a lot about sustainable investing, which I find really exciting. Money makes the world go round - educating people about the banks and funds they can put it in to actually help solve global problems like CO2 emissions and poverty is seriously rewarding. It’s macro economic struggles meets micro household finances - and I like to do it in a more fun, creative and personal way than your typical personal finance pages - because why not? Stop juggling. Seriously. I work in designated hours and do nothing to do with work outside those hours. I don’t work in the evening or early morning unless it’s absolutely unavoidable. I have to keep everything as separate as possible or I don’t do anything properly - it’s a lesson I’ve learned the hard way and the only system I know for maintaining my sanity and continuing to meet the expectations of others, children or clients. Psychological and physical compartmentalisation of work and home life for me is super important (although as I wrote that, I realise I’d been talking to Mum’s The Word about this campaign on the school run!!! Note to self: follow own advice). Reading with the boys at bedtime. Getting the kids out the house in the morning - with everything they need. We’re like particles being smashed together in the Cern collider between 8 and 8.15. “Don’t…. X, Y, Z”, ie. “Don’t sit on your brother’s head”, “don’t stand on the kitchen table”, “don’t go outside without your shoes on”. Fun? Me? Crash. I get one hour of TV if possible. I do also do pilates one night a week, a run one night if it is light enough and try to go out for dinner or drinks - or have someone over - one night a week. Langton Pavilion Cafe (what did we ever do before this opened?? ), the Daily Bread in Rusthall and Basil. Self-sacrifice is part of the Mum job, but it can go too far. Do at least one thing on your own in the week that’s not to do with work, kids or household management but is just something you really enjoy. It could be going for a run, it might be getting your nails done, or just meeting a friend. It’s surprising how hard it is to make yourself a key part of your life - your kids will also be curious about what you do and it’s good for them to see you enjoying other things (even if they can make you feel a bit guilty about it sometimes). 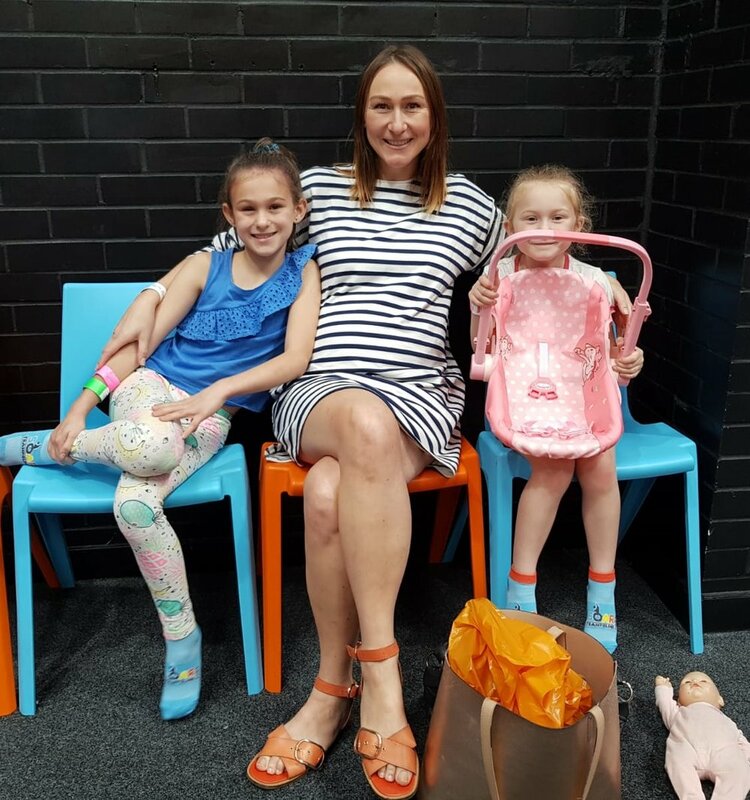 It’s been a while since we last posted a Mama Meets… so we are SO excited to kick off a new season of Meets with the lovely Vanessa Christie founder of The Parent & Baby Clinic (which officially launches tomorrow) and Mama to Amelie (7 years) and Laria (5 years). Vanessa (MSc, MN, IBCLC, RHV, RNC, CIMI), has created the Parent & Baby Clinic to offer specialist support to parents and their babies from pregnancy through to toddlerhood. At the clinic, Vanessa’s priority is to provide new families with the compassionate, skilled, trustworthy and non-judgemental care they deserve, in a calming and therapeutic setting. Sorting out school bags and uniforms the night before (new for this term - why it has taken me 3 years to figure out how life-changing it is remains a mystery! ), contact lenses and a cup of tea (my husband teases me though that I never actually finish drinking it). ...After school drop-off, I head back home and into my new clinic. My appointments start at 9.30am which gives me a little breathing space to catch up on admin and make sure the drinks and biscuits are stocked up. Each appointment is for 1.5 hours so I can see up to 3 families in a day for 1-1 consultations. Every day is so different. People mainly come to me for support with breastfeeding and sleep/settling concerns and for working through a pregnancy, birth or baby-related traumatic experience. I may also be on FaceTime chatting to a client far away. If I have a client-free morning, I may be writing articles or comments for parenting magazines and websites or on the phone making plans. Why did you decide to set up your Parent & Baby clinic? So many reasons! I worked in the NHS for the best part of 15 years and as much as I loved it, I did become increasingly frustrated that I wasn’t able to give the face-to-face time to so many families that were in need and want of it. When I started out independently and doing all home visits, I would often only be able to fit in one during school hours and was having to include my travel time and costs into the fees. At the clinic I can be much more available and accessible - often families contact me when they feel they are in a crisis situation and I really don’t like to keep them waiting. I was also finding that particularly for my clients contacting me following a traumatic event, they appreciated being in a neutral space. Initially I was seeing families in my sitting room and I love now having a dedicated and appropriate space that’s just for them. It’s also a great space for holding my workshops in too. I called it The Parent & Baby Clinic because I’ve found that Dads and partners frequently feel rather side-lined. They are a huge part of their new family and have many of their own needs too that can go under the radar. They are 100% welcome to come and to share as much as they want and need to. If a parent is unable to travel and I have the availability, I am still seeing them in their homes too. Getting my daily fix of delicious babies! The truly best bit though is the goose bumps I get when clients tell me what tangible positive changes have happened for them. I’ve shared happy tears with them before and that feeling is awesome. I definitely haven’t completely nailed this one yet! I try to be as present as I can and not look at my phone (much) between school pick-up and bedtime, so I will mainly respond to emails first thing in the morning and often a little too late at night. If I’m distracted and have work on my mind around the kids, it generally ends up with them becoming wound up. Their emotions are a good barometer for reminding me where I need to put my focus. Picking the girls up from school - that point when they are still bouncing from the day but not yet tired and emotional! A few hours later when I feel like I need an extra 5 arms and 5 hours - it normally happens at about 5 o’clock! In my dreams I’m having cocktails and dancing… in reality I’m clearing up, emailing and probably watching a drama series with a glass of wine and my husband. You can also find me attempting to twirl around Lamberhurst village hall at ballet one evening a week. The Beauty Bar, @One (both in Wadhurst) and Rosie Baylis Hair in Tunbridge Wells. Whenever you feel alone, breathe slowly for a few moments and remind yourself that there are Mum’s all around the world 24/7 feeling the same. Sometimes just knowing that is enough to help us feel a little brighter and give us the nudge we may need to pick up the phone, get outdoors or do anything else that’s within reach, to help feel more connected and supported. This week we meet the incredible Olivia Gillmor, founder of Tunbridge Wells Reflexology and Mama to Isabelle (age 6). Olivia works her magic to help relieve the stresses of everyday life and to support people physically, mentally and emotionally. Her clients come for many different reasons and are often AMAZED at how they feel afterwards. 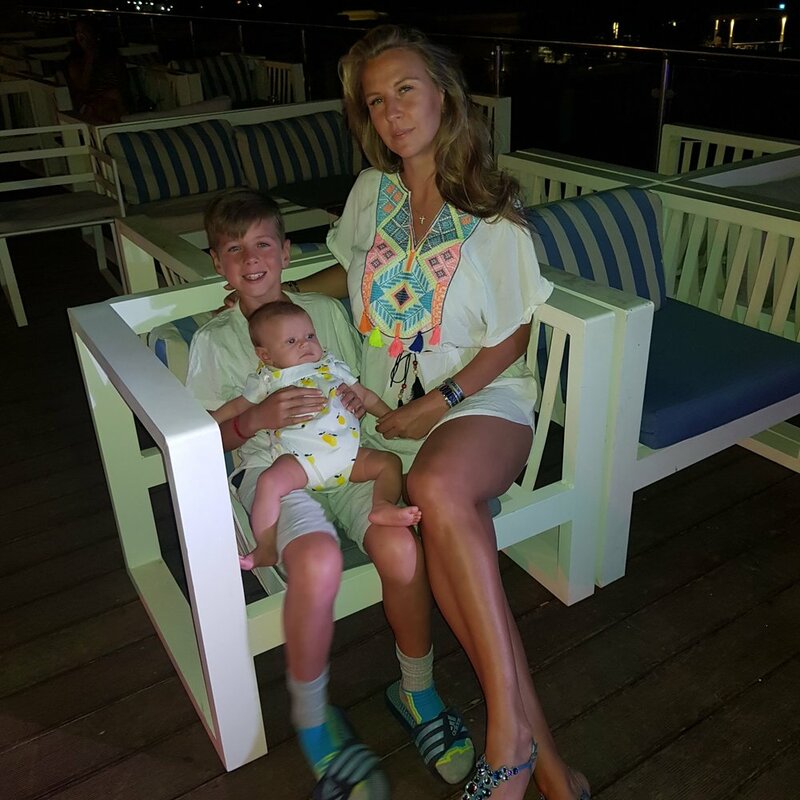 Olivia is trained in the highly effective fertility Reproflexology, lymphatic drainage reflexology and also had midwife-led training in maternity reflexology. What day is it – do I need to get up yet?!? Shower, breakfast and tea – lots of tea. Describe a typical working morning. I get up with Isabelle and get ready for school. We fall out of the door and walk fast so we are on time! I work from a treatment room at home so I rush back and give the downstairs of our house a quick tidy and hoover. The kitchen doubles up as a craft room so it is *as it is* - I just have to accept it. It’s a bit of a rush until 9.15am at which point I stop rushing and wait for my first client at 9.30am. In the morning, I would typically have 2 clients. A quiet local pub serving local food – or by the sea. It depends on the day. Some days it’s when it’s just the 3 of us together. With so much going on, family time is precious and limited so when it’s just us, it is perfect (as long as the tantrums stay away!). Other days, it’s when I get a couple of hours of peace and quiet and am on my own. Realising it’s time to leave to collect Isabelle and I’m in the middle of something (and probably can’t find my keys!) Help! I lose my glasses / phone / doorkeys ALL the time. The Calypso Kitchen – Aurora’s Caribbean food is DELICIOUS. Lastly, I want to say our local countryside – There are so many lovely walks near to us. I love the peace and quiet they bring. Don’t be afraid to ask for help and support when you need it – you’ll find we’ve all been there at some point and probably will be again. This week we are catching up with the amazing Nicola Bryson, who is a pilates and barre teacher and Mama to five-year-old Pearl. 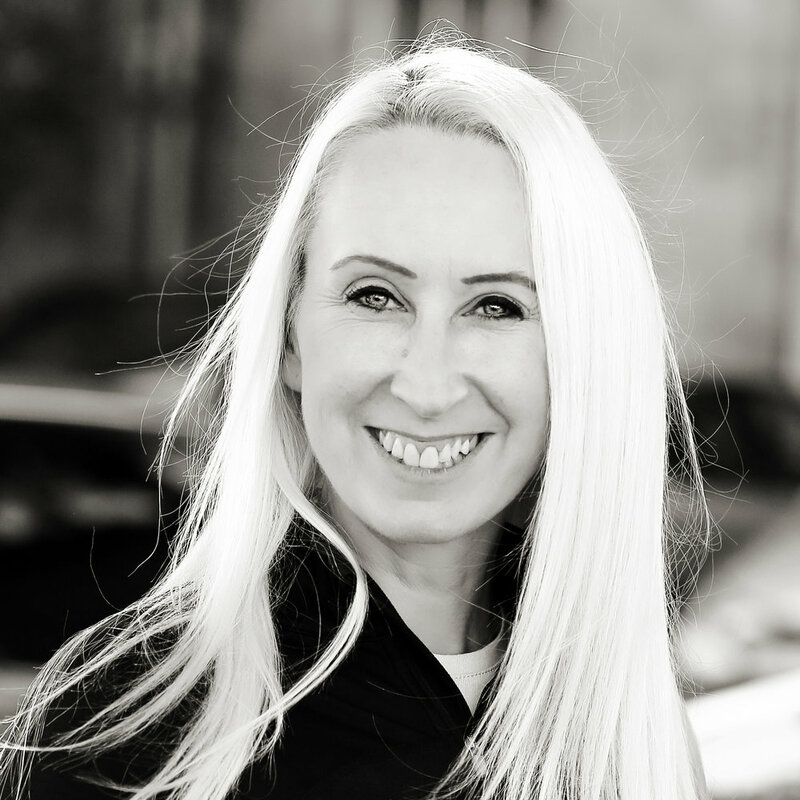 Nicola is the founder of Nicola Bryson Pilates and regularly hosts retreats around the UK and is in the process of organising monthly wellness workshops in Brighton & Hove. 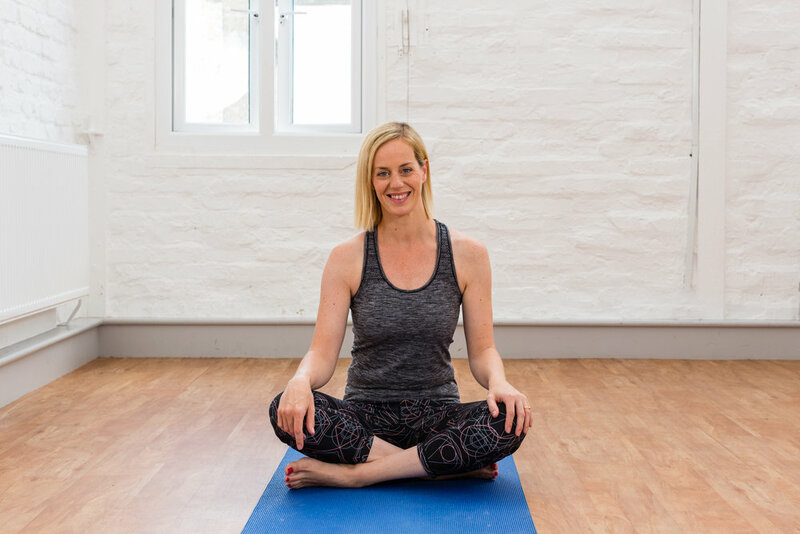 We are so excited that Nicola will be joining us to host our first ever Brighton Supper Club this Thursday (28th June) and will be leading a guided meditation before we start dinner. 7.15am - which is a bit late for me but I was in London yesterday teaching 4 classes so I clearly needed more rest. 1. Stretch - it's literally the first thing I do. Get out of bed and have a good old stretch. It gives my body a boost of energy for the day. I have a little pilates kit in the bedroom, like a resistance band/spikey balls, and I keep my foam roller underneath the bed. I don't often have time to do a full pilates class but I do love a good stretch. 2. Open the blinds, let the light in the bedroom, I hate dark rooms. 3. Music - I always have the radio on in the morning whilst I'm sorting out breakfast. My days vary as not only am I in the process of setting up my pilates business in a new area, I also work 2 days a week for a Web consultancy in Clerkenwell. I try to be organised the night before so mornings are less stressful. After I drop Pearl off at school I'll often go down to the sea for a walk or if I'm feeling energetic I go for a quick run. It's a good time to clear my head before I either hit the laptop or teach a class/private client. When the 3 of us are together at the end of the day. I like having a family debrief. Probably just before I go and pick my daughter up from school. I tend to find I'm deep in work emails or retreat planning and I have to stop and shut the laptop. You realise how short the school day is, but equally it's good to stop and have a break. A shared calendar. It's saved us many a heated moment or double booking stuff. 'Pearl, please!' Kids faff a lot! End up having 15 mins or so to myself. It tends to involve either lesson planning or writing in my journal. I'm then downstairs cooking dinner and ready to collapse on the sofa to watch Netflix. Black Radish in West Hove, which is a cute little organic produce shop and cafe. The best salads and quiche. Velvet is a lifestyle shop also in Hove which is run by a woman who came on one of my retreats. It's an amazing shop and you always find something in there. The Needlemakers in Lewes - it's only 20 mins away and is such a great venue with a cafe and independent shops. I can't go there without popping into From Victoria and buying a plant. Trust your instinct. When Pearl was younger I was forever seeking friend's advice or hopping onto the internet to try and find a solution to whatever it was feeding/sleep/their progress at school. Having faith in myself as a parent and trusting my gut has definitely stopped me from having anxious moments and comparing myself to others. This week's Mama Meets is with plant based chef extraordinaire Gemma Ogston of Gem's Wholesome Kitchen. We're so excited that Gemma is hosting and cooking at our first Brighton Supper Club on 28th June at The Square in Brighton. So we thought we'd take some time to find out more about the cooking sensation that is Gem! Gem lives in Brighton with her husband and two children Hendrix (age 6) and Carmen Rose (age 7) and new puppy Flash! 5.30am. I always wake up at least an hour and half before the kids wake, to get ahead with cooking or catch up with emails and ordering. I am definitely a morning person, so early starts work best for me. I like to get a chunk of work done before the madness starts - so I can focus on them before school. What am going to cook first! 3. Put some music on so, when the kids get up - they wake up dancing !! Wake up at 5.30 am. Eat. Make a good coffee. Work for an hour. Get up kids, sort them out (although they are pretty good and manage most things themselves). School run (10 minute walk with puppy, kids and scooters). Have a quick chat with the few Mums I am mates with (time permitting) alternate with my Husband on school run, but when I am doing a cleanse package - I normally cannot take them as too busy...THEN drop into fave coffee shop for a flat white (normally to go) I love good coffee! Shop for ingredients... Laway in my local Market and wholefood shop. Picnic on the beach or my local cafe Tilt (by the school) they do a mean salad and always sort me out yummy plate of yumminess, when I have forgotten to eat on route to school pick up ! Night time because I am totally knackered and I am rubbish when I am tired. Quite often I have to work in the evenings and that is often a struggle (my husband often sends me to bed when I'm falling asleep at the computer - he knows me better than anyone). I have learnt to keep key times in the day free to focus on the family. For example breakfast time, before school and after school. All those emails can wait for half an hour ... My kids behave better when I switch off work and stop looking at my phone at these key times. Also try and have a dedicated family day at the weekend. It's so important. I have learnt to say NO to work if it means I cant do this. Either have to work cooking or prepping for tomorrows food or I slump in a heap and have a glass of wine. 1. Preloved - the best preloved Clothes shop in Brighton where I get pretty much most of my wardrobe (and chats). 2. The Open Market - great market with local produce, pottery, best optician EVER , hummus, vintage and Eco wholefood store. I can get anything I need for my cooking (and family) here. 3. The Downs - where we go on a Sunday for a lovely family walk with the new puppy and a picnic. Best views, best fresh air and it's free family fun. Elly lives in Canterbury with her partner William and 3 year old son Freddie. Elly and William make amazing bespoke kitchens for living in (check out Erica Davies kitchen and Pink House Living for examples of their handiwork) from their workshop in Kent whilst co-parenting their gorgeous son Freddie. What was your very first thought of the day? Please be Sunday (or Freddie get your foot off my back). What are your 3 essentials for getting up, out and at 'em? I like to get up a little bit before everyone else to make a list for the day and have one quiet cup of tea. So pen, paper and plenty of tea. Describe a typical working morning: Will takes Freddie to preschool and I normally pop over to the studio and go through the plans for the team for the day. There are hundreds of elements to designing, creating and installing kitchens, so making sure there is strong communication between everyone is important. When Will comes back we both head to Burgate for a coffee and a quick chat with our neighbours before opening the studio. We live in the centre of the city, near our studio, so there is a real sense of community around here. I think you have to be a bit eccentric to live in Canterbury, so conversation is never dull. Your perfect local lunch spot would be... Ohh that is really hard in Canterbury, best cheeky chicken in town is Smokeys, for pulled-pork it's Pork & Co and when we are trying to be healthy it's The Veg Box. The happiest moment in your day? When Freddie comes home from preschool, he still smiles and runs to me. I know this won't last forever so I milk it up every time. The hardest moment in your day? Trying to get Freddie to brush his teeth. Any tips? 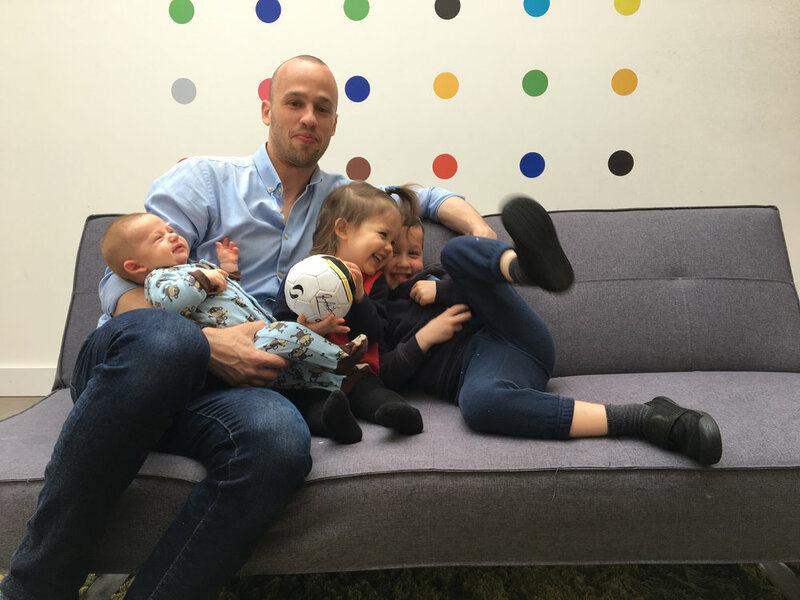 #1 tip for juggling work and family life? Ask for help, keep your boundaries and have an equal partner. I had to learn that keeping my boundaries and being protective of family time was important for me to feel more grounded throughout the week. Working together has brought a whole new level of keeping business and family life separate. Will and I have always been equal partners, so I feel like we are both juggling the busines and family life together. When I joined the business I insisted on a date night once a week, just so we can remember that we are a couple, before we became business parters. Most overused word of the day? Lovely, everything in the interiors world is lovely and I can't help myself from sometimes using that lovely word too. I came from the public sector where everything was 'going forward,' so I don't mind the word yet. Top 3 local gems? It is really hard for me to narrow it down to 3. You can't visit Canterbury without a trip to the Cathedral though, I love the Lilford Gallery for art inspiration and the Goods Shed is a foodie heaven. Best piece of advice for fellow Mum's... Be forgiving to yourself and each other. I definitely do not have it all together. I'm the mum who never has wet wipes on hand or that extra pair of trousers in case of an accident, but as long as Freddie's safe and healthy, most of the rest of the stuff is material or opinion. This weeks Mama Meets is with the gorgeous Laura Williams, founder of The Modern Nursery and mama to Alba (23 months) with baby number two due later this year! 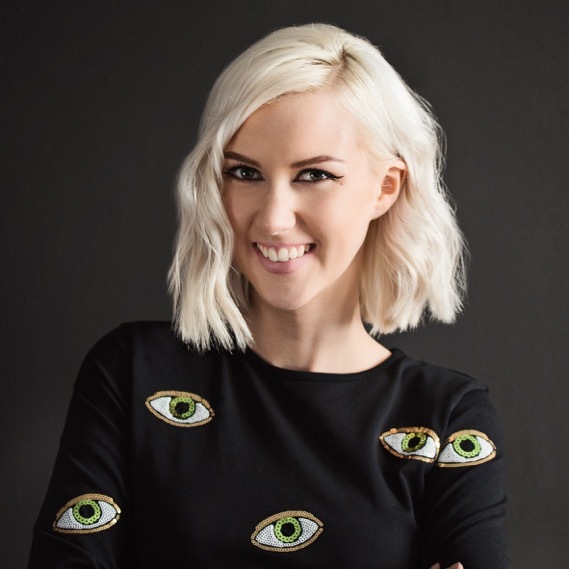 In less than two years Laura has gone from working at British fashion giant Burberry, to bringing up a baby and building up a hugely successful business. Founded in late 2015, The Modern Nursery is an online social hub of all things modern and chic for your nursery and playroom, aimed at contemporary Mum’s with newborns and toddlers. In a short time, the business has gained a massive Instagram following of 43.5K, largely due to the lifestyle focus on Laura and Alba following her journey building the business and surviving Motherhood at the same time. 6.45am, Alba gets us up when she wakes so I never set an alarm anymore! hat was your very first thought of the day? That I love my morning cuddles with my little girl, and that I need to do my morning Instagram post! Being organised the night before (I always schedule what I’m am going to talk about on social media at least the night before), eat breakfast (!) and make sure you have a clear and concise list written out in order of priority, try to stick to it and only do what is written down. Alba goes to nursery 2 days a week so if it is a nursery day then I drop her off and start work straight away in the TMN head office that we built in my garden. I will start off with emails, check in with my warehouse and then start on big projects like new product launches, guest blogging, Press, financial forecasts and social media strategy. I have an employee Clare who arrives every day at 9.30am. She takes care of customer service, makes sure the warehouse runs smoothly and does my book keeping. I could not live without her! If Alba is not at nursery then I tend to work on the go from my phone, when she naps, and then as soon as she is in bed at night. I love Fee & Brown in Beckenham and Basil in Tunbridge Wells. I am obsessed with London-class coffee so am always on the hunt in Kent! When I’m with Alba and we’re doing something that she really loves, she looks up at me for 5 seconds with this look in her eyes that says “I’m having such a fun time Mummy” and gives me a really big hug. It makes all the juggling worth it. When I have to juggle, there is an urgent situation with TMN and I have no option to put the business first. This can mean cancelling play dates, and putting her infront of Paw Patrol. I hate it but no one else is going to sort it out for me and the business is my second baby after all, it is just the reality of trying to make it work. Deep down, I know that Alba is always content and if that happens, I will always try and make it up to her e.g take her on some extravagant day trip the next day – that’s mum guilt for you! Be realistic and allocate time. I have to work every day whether I have Alba with me or not, so if she is with me, I will set myself an allocated time to work, a time to do social media posts and a time to also put my phone away. When I need to work, I tell her “Mummy is working now” and try and teach her that that is just the way it is for us. She does understand and if I have my laptop out she says “Mummy working”. It makes me proud that she already has that respect for me working and understands that it is important. I hope that I’m teaching her valuable life lessons. When I hit the limit of time I have set myself, I stop, put my laptop and phone away and wait for the next window to work: lunchtime, a nap or when she is in bed. You can’t do it all, you just have to allocate time and do your best. “No”. Alba is turning 2 next month and has started to test those toddler boundaries, she is very adorable but very cheeky with it! Make dinner for my husband and I and then start work again. In the first year of running the business I worked 7 nights a week and never took a break, I was so committed to make this business a success. Now that TMN is established and I do have more help (an employee and a warehouse) I do take Friday night’s off and sometimes even Saturday night’s. It is important to me to spend alone time with my husband but he does get the raw end of the deal, I’m pretty lucky in that I married the loveliest, most understanding and supportive man on earth. I love mooching around the Pantiles in Tunbridge Wells, visiting independent stores such as Le Petit Jardin and Trevor Mottram – anything Interiors or Gardens and I’m sold! We often go to beautiful parks around Kent like Knole Park or Emmetts Gardens. I also love the seaside so a trip to Whitstable is always top of my list! If want to set up a business and bring up children at the same time, and you have the passion and determination to make it work, you can absolutely do it. Be prepared to work all the hours you could possibly imagine, never have a real holiday again and constantly feel torn in your priorities, but you will feel more fulfillment in work and life that you will ever get working for someone else, and you really do get to spend more time with your children. I hope Al hasn't left yet so he can pick Edward up and bring him in here. There isn't one. Either dropping off Edward at his nursery or the lovely Jodie comes to our house and I am normally running off to get to a meeting. Picking up Edward from nursery and seeing his smile when he notices me. Trying to finish off work when Edward is about and he is either trying to pull me off my chair or shut my laptop. Reminding myself that I am doing brilliantly. This was particularly useful when I was going off on a really important business trip and I left Edward in the sitting room while I popped upstairs to get something just before I dropped him off. When I came back in he had taken off his shorts and nappy and done a poo on the carpet. Watch Love Island. There, I admit it. If you are a book lover then Barnetts Bookshop in Wadhurst is my secret pleasure. Richard who runs it is brilliant, they can order in books for the next day and run literary lounges with well known authors and you get a glass of wine thrown in! If I fancy a treat I go and have a gel manicure at The Beauty Bar in Wadhurst. They are lovely there plus it is a 5 minute walk from my house. Finally I love going to Bedgebury with Edward and heading up to the Pirate ship. It is a brilliant place and so easy as all the children can run around like loons. Just make sure you have a map if you hire a bike and buggy unlike I did and my half an hour easy ride turned into a 3 hour cycle. S: Gah! 5.38am. My youngest son decided it was time to start our day so that was that. N: 7.20am (sorry Sarah!) My husband brought me in a cup of coffee as he left for work – not a bad way to start the morning! N: Nice succulents! We’re about to launch a candle subscription service and the florist we work with (Miss Mole’s Flower Emporium) emailed pictures over late last night of the succulents we plan to give away with subscribers’ first candles. They must have stayed in my mind overnight! S: I’d like to say something really meaningful but I think it was probably ‘Is it swimming or Beavers after school’? N: The same. Only replace mascara with lipstick. A quick sweep of Mac Ruby Woo on the lips is essential to my game face. N: When I’m back from the school run I set myself up on the kitchen table with a pot of tea, my laptop and notepad before working through emails and the day’s to-do list. Whether it’s web updates, orders, event planning or marketing, I rarely break for lunch – mostly because I have to leave at 2.30pm to pick up the kids and time is precious! I usually end up scoffing a bagel and a KitKat on route though. S: No two days are the same and it’s a complete juggle! My youngest son is still at home with me so the evenings tend to be my mornings when I get chance to properly think and action stuff. That said, I’ll call suppliers on the school run, drop parcels on the way to the park and try out new scents when I’m doing the housework. We have so many exciting ideas for the business but there are only so many hours in the day. S: The Perch on Lancing Beach (pictured). Naomi and I often meet there for business catch-ups as it’s halfway between our homes in Brighton and Worthing. The food’s great, the views are inspiring and it works if we’ve got all five kids with us, too. N: We’re spoilt for places to eat in Brighton and I like to mix it up so whether it’s Curry Leaf cafe for a cosy Southern Indian vibe or Red Roaster, a gorgeous light-filled restaurant full of marble surfaces and geometric tiling, we do our best to try them all! S: The school walks with my boys. Granted we’re usually running in the mornings and I feel like a human vending machine on the way home but holding their little hands, listening to their constant stream of chatter never ceases to make me smile. N: I love the tingly butterfly sensations I get when I’m about to pick up the kids from school. Saying that, walking into a quiet, calm house after the madness of morning drop off isn’t an unhappy moment! S: That post-tea, pre-bath crazy bit when you’re fit to drop but have to muster the strength to take on the bedtime routine. N: Yes and it doesn’t help that a lot of our work is done once the kids are in bed. Knowing you have an evening’s work to crack onto after bedtime adds an extra sense of pressure to getting them to finish homework, brush teeth, take a bath, read etc. N: Running a business and a home, you can end up feeling like you’re not doing either job very well. For this reason I recommend setting boundaries where you can. I try to put my phone and email out of reach from 4-8pm so I can focus and be present with the kids. Then at 8pm it’s my time to work. S: For me it comes down to clearing my head often enough to deal with everything I have to do. I love to run alongside the sea. Getting out, hands-free and doing something for myself helps me cope better with all the demands of the day. S: Boys! (in shouty voice). N: Be kind! We’re having a few issues with that in our house at the moment. N: Get out the laptop and call Sarah! We discuss the business on the phone every evening, so we’ll run through emails, split the day’s orders between us and catch up on social media. S: Put the house back together! Then I make a cup of tea and light a candle. Finding a ritual that enables you to pause and take stock after a busy day was the inspiration for our brand. I’m burning our Beautiful You White Jasmine candle at the moment, it’s the perfect summery soother. Then yes, on to business! 1. I love watching a movie at the Dome Cinema on Worthing seafront. It’s a beautifully restored Edwardian building so a visit feels extra special. I go to the Saturday morning flicks with my kids and on a Monday night seats are just £3 and you can take a glass (or two) of wine in with you. I’ll meet up with a group of mums and we’ll cycle there along the prom, wobbling back discussing the film afterwards! 2. For a really yummy brunch, my family and I love The Bluebird Café on Ferring Beach. It’s about a 40 minute walk from our house and the great thing about our stretch of coast is the tide goes all the way out so we can stroll along the sand and explore the tide pools while we work up an appetite. 3. A bit further out, Design Vintage in West Stoke is the place to get your interiors fix! Housed in an old barn with a cute courtyard café to boot, you can pick up an antique Hungarian painted cupboard, gorgeous Tine K Home bowls or one of our sumptuous SevenSeventeen candles. 1. The Level - A city centre park we’re all happy at. There’s a skate park for the older kids, an amazing play and splash area for the little ones and good coffee for us at the cafe! We’ll often stop off at our favourite pizza restaurant Fatto A Namo on the way back home too. 2. Hove Lagoon - We’ve recently discovered the water sports here which are super fun and great if you’re stuck for something to do on a weekend. They offer windsurfing, sailing or wake-boarding sessions for adults and kids. 3. The Plotting Parlour - For nights out, you can’t beat starting off in this cocktail bar tucked away off the seafront. Best espresso martini in town! N: Everything passes. Chances are that the things you’re finding challenging now won’t be this time next year. It can be good to bear this in mind when you’re struggling with getting a screaming toddler into clothes or trying to get vegetables into a four year old!